23 year old Paul Ward became the youngest manager in Football League history in 1987 when he was appointed Darlington’s player-boss, taking charge of his first game at Dean Court, which was a 1-0 defeat that Bournemouth manager Redknapp reckoned was his side’s hardest game of the season. Ward had moved to Feethams 18 months earlier from Middlesbrough and it was back at Ayresome Park where Ward had his second game in charge, a 1-1 draw with Alan Roberts scoring, but by the end of the ill-fated 1986-87 season Darlington dropped back into Division Four. Ward had replaced Cyril Knowles when the manager and coach John Craggs were sacked. Chairman Archie Heaton asked Ward, from Trimdon, to take control for the final 13 games and although he did well in the circumstances and applied for the job permanently, it was former Grimsby Town boss Dave Booth that got the nod. 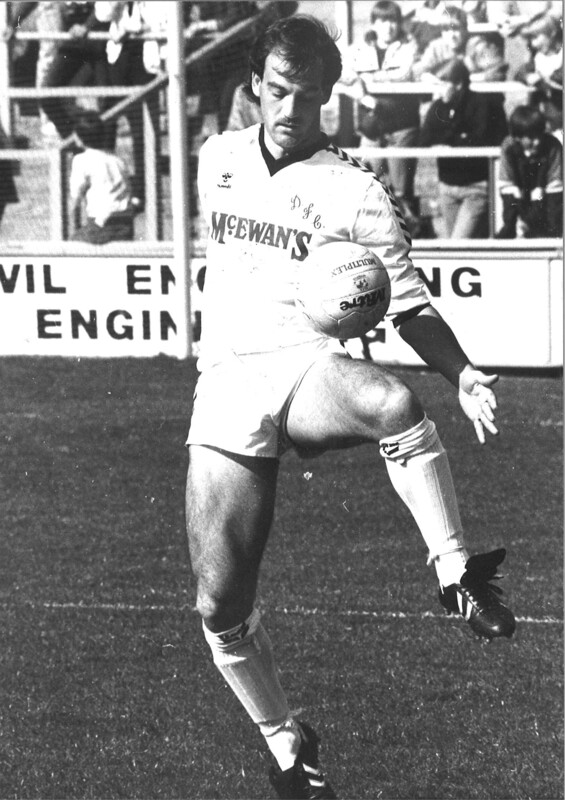 Ward reverted to playing duties for the 87-88 season, before the midfielder joined Leyton Orient after 143 appearances and 11 goals for Quakers.